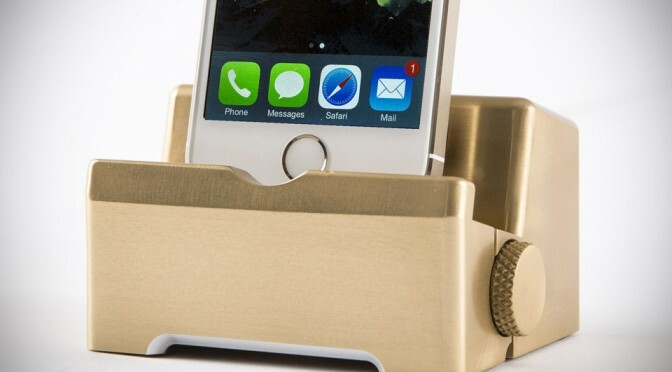 still searching for the perfect dock to go with your gold iPhone 5s? well, then the The Infinity Dock should tickles your fancy. if the color doesn’t catch your attention, then perhaps the fact that it is machined from a single block of extruded aluminum should. like Apple’s legendary attention to detail, its creator, The Refinery, also pays the same level of detail, if not more. completely designed, machined and hand-assembled in California., each Infinity Dock is air blasted and anodized for the premium look and feel. instead of feeding your existing cable into the dock, the dock will come with its own custom cable that sits snugly within the dock. an ingenious (and uber sleek) ‘dock door’, secured by a beautifully machined knurled thumbscrew, allows the custom cable to be fitted and removed with ease. 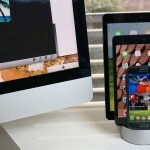 in this way, you can choose to take the cable with you when leave home or office, or choose to leave it with the dock. the choice is yours. the dock is not restricted to just iOS devices (and by iOS devices, we are referring to iPhone, iPod, as well as iPad); it can also accept other makes of smartphone and tablet too. so you do not have to forego this beauty even when you jump ships. attention to detail, plus quality is the name of the game here. The Refinery took pain to ensure the dock works as well as it looks and have even incorporated cable channels at the base of the dock to neatly direct the cord out and away from the dock. 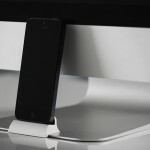 the dock also features micro suction pads under, ensuring the dock stays put on smooth surfaces and not move around, endangering your beautiful desk. thanks to these micro suction pads, it allows one-hand removable of the device without introducing a weighty dock. 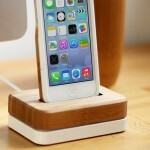 the The Infinity Dock comes in a choice of colors, including black, blue, gold, and silver. The Infinity Dock will not be mass produced; the dock will be manufactured in limited quantities, catering to style connoisseurs who are willing to fork out $79 or more for a dock. 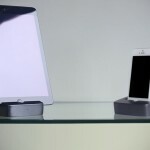 whether The Infinity Dock will see fruition depends on the reception of its Kickstarter campaign. therefore, if you like what you see and have the dough to spare, then we suggest you head on down to The Infinity Dock’s Kickstarter campaign page and show some of your love by back up the project. submitted via TIP US OFF page.